[lie 1 Mad Minute" should learn to ¡ipph immediate in lion in tin* cvenl of a misfire. 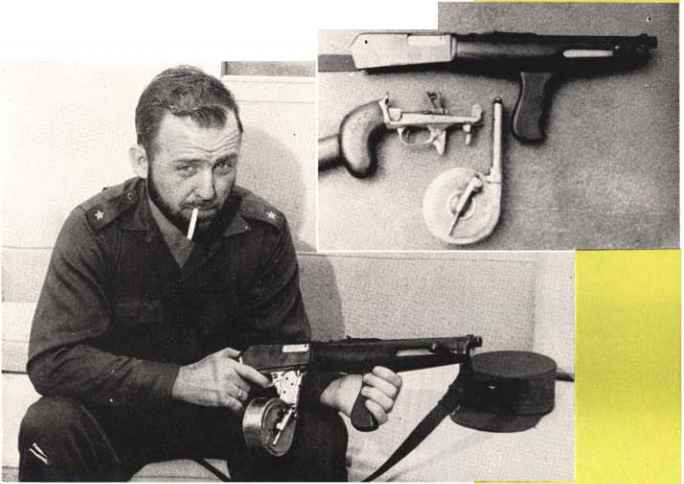 Commandante Bill Morgan, Cuban insurgent from Toledo, had mer build Winchester Into burp guns. h and mill-hint, mines. |r m4 ibree or four no about two weeks to complete one fun. In this lillli1 pem, I hi' ilidr. rciYiil ami tripper n«'lmnn orr it lili tiding »F M-.L Carbine ami handmade part* inside b WiilctirtiV 'Sal Sdl>l<illdin| frame. The 'loek 1*1 whittled ou| lit liinnl, Itebond inlcrrhaiifir-.ihie linrr>'l- a1low<-i| MorpinV tnHJt 1o lire --1r>, 'ïiticii, or . 10 tinrbine aniriiu. depending mi wbal nil- for -upper thai niehl, \rnnio capacity iLepcnibd on I hi- lype of magazine mçd : either jilu nil Slar pÎFtol elip* or a iLrnm. 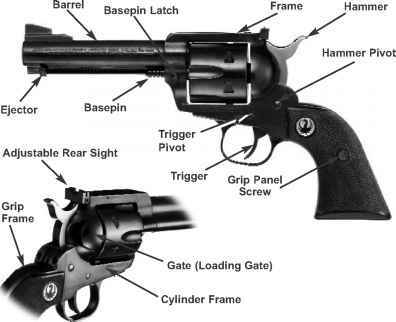 According to Morgan, the nhtrtt barrel length UitdW aerum1} 10 "alnmi ïi vatd-. However. il [lircw enough le:ol to allow a* to even un [fir m lit- ji liltlr, a- well gi five no n fi i Inure tu I he mon." I tie Stl.yeir <ihl efc-paifltnuipei lold me. Mnrpjn't cimihal ejt-pcrieBiy included a world wide itHviiptnl nf weapon», I»ut h>' prefer* I he ftritîth Sien or iinjirou'd Slerlinç tobmtfchine fttui:-, He ife-cribcd (be Biituli wrapnu- ns having less reroij and weight yei J "renter effective ranjje than tlie Intetic-Jh Tti11nqfi-iiri or \|H Jirea>e pint. "Klirlhertnore, fte «mphnFÎifd. 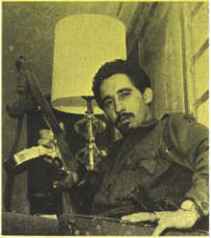 "neifbt ilifTiremi- belwcc-n 'J ntm am in 11 ami .45 maki — a lie II of a difference in fator of I fie 'till m when you're oil on a It) mile hike in 1h<" Cuban Ltaeliwoods,"
Morgan's lieutenant Soldi '07 riffe wTtfi pistol grip, 35-shût drum clip.